Welcome to a world of RLDS Books. Check the right sidebar to navigate through this website. For new RLDS books by Paul V. Ludy & Associates, go to Newbookman.blogspot.com. I am currently updating this website. The links down the right side should work. Scroll down to see them. If you are not able to access the site, please call me at 816 210-8450. 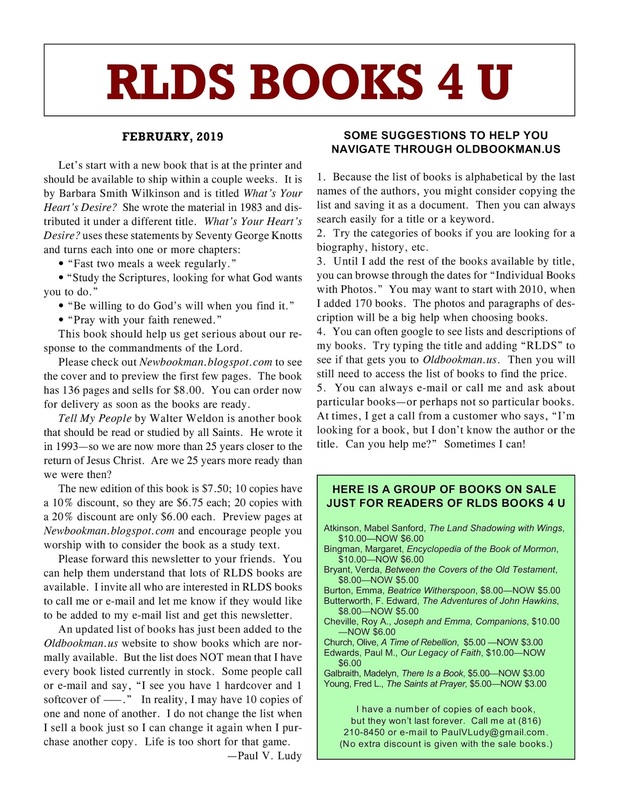 For New RLDS Books, Go to NEWBOOKMAN.BLOGSPOT.COM. THOUSANDS OF BOOKS published by and about the RLDS Church are available. Because used books come and go quite frequently, this website has no provision for ordering online. 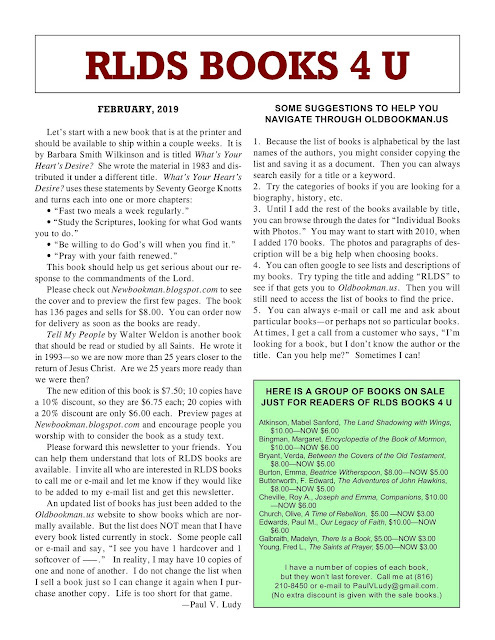 To see if what you want is in stock, please e-mail to Oldbookman.us@gmail.com or phone (816) 210-8450. There are several generations of Saints who do not know that these books exist--or do not know what is in them. Please share this website with friends who need the information shown here.